In addition to wanting a robot of my own, who can post articles on my blog for me, I have long wondered about what good ani-blogging can do. When I started the Abandoned Factory, I had grandiose visions of doing something like Cahiers du cinéma, but with giant robots. What I soon learned, however, is that the act of anime blogging seemed destined to navigate twixt the Scylla of episodic blogging and the Charybdis of pure Subjectivism. 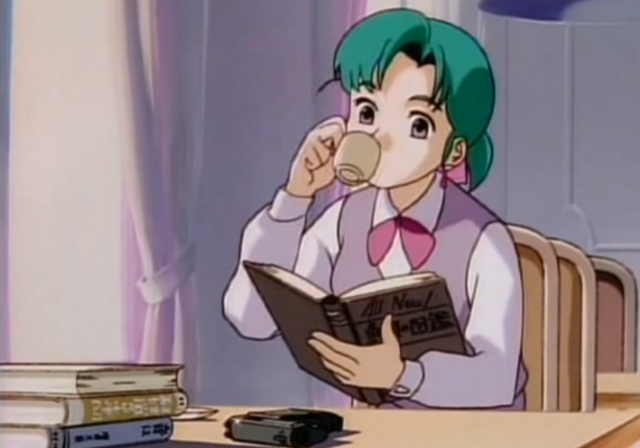 One of the main problems, as I see it, of episodic blogging is that the most compelling aspects of an anime are not revealed in a single episode. In other words deeper analysis can only be performed after the series is over, when the series can be viewed as a whole. I refer to episodic blogging as being dictated by adjacency, because it is enmeshed in the broadcast sequence, where future episodes are not yet available to the reviewer as the blog post is written. On the other hand, the typical alternative to episodic blogs is highly subjective. There is a place for subjectivity, but I felt that attempts at so-called “editorial” blog posts were often dictated by the personal experience and perspective of the blogger. While I sometimes quite enjoy reading this type of post, I did start to wonder if it was possible to generate an objective anime review. I by no means think I have found the perfect answer to this question, but I do think I found a method towards one possible answer: an ani-blogging robot. As we all know, robots are moe battle maids capable of perfect objectivity, unlike their all-too-human masters. Alpha is the robot who runs the coffee shop in Yokohama Kaidashi Kikou (Yokohama Shopping Trip) a meditative anime about a robot who spends her days lazily drinking coffee and taking pictures in the post apocalypse. All things must have a name, and so my new ani-blogging robot will also be named Alpha, in memory of her laid back relative. In a peaceful post-apocalyptic world where the coasts have been flooded, Alpha is a robot left in charge of a Cafe by her owner who went off travelling. One day, she receives from him a package containing a camera, so that she might take pictures upon which she could later be able to reminisce. This brings Alpha to take closer notice of the little events of life and time around her. Alpha, the ani-blogging robot, will be expected to watch anime, reflect upon what she has seen, and post her findings here on the Abandoned Factory. I expect her to use an objective process to evaluate the anime she has watched, and thus I am asking her to focus on the way color is used in different anime. New anime must be downloaded from the Internet. In an ideal world, Alpha will take care of acquiring new videos to watch without my constant supervision, or even regard for my taste in anime. The anime videos must be read from the file system and converted to structured data. For example, Alpha could “watch” the video, and convert each frame into hash-map of key-value pairs, where the key is an RGB coded color, and the value is the number of pixels that were found to have that color in the current frame. There might be some additional meta-data or summary data (for example a value to represent how bright or dark the frame was as a whole). An entire episode would be a collection of frames, with some additional meta-data (for example an identifier for the anime series from which the episode came), and possibly some more summary info intended for analysis. 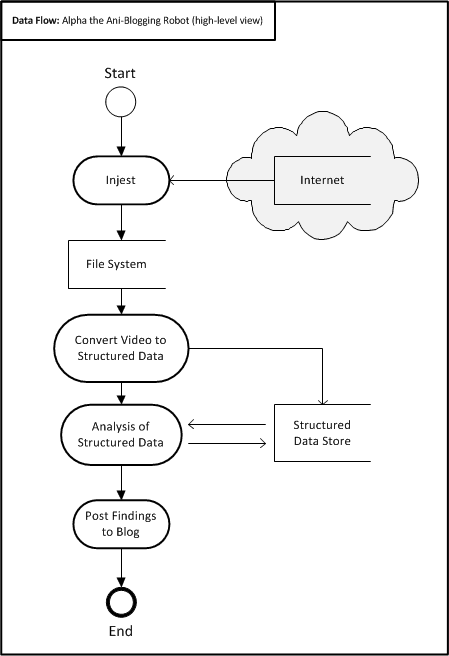 Analysis is the process by which Alpha reflects upon the structured data she has seen, including multiple episodes of a single series, or possibly multiple series within a season, etc. This might very well mean that additional summary information is “remembered”, for example, a how varied was the use of color in this episode (or season)? Finally the results of reflection must be organized and posted here at the Abandoned Factory. As I type this, Alpha may be little more than a gleam in my eye, but I certainly intend to bring Alpha into this world. Steps 1 and 4 are the easiest to perform for a human assistant, so I will start by developing Alpha’s sense of sight. Uhhhhhhhh…okay. Great! Looking forward to…it. 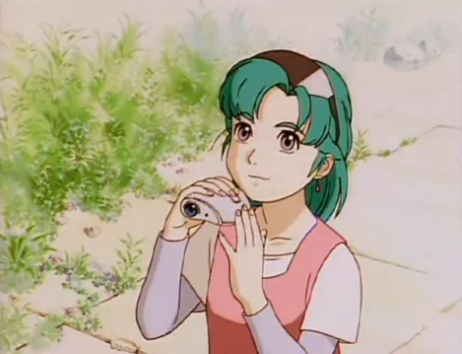 And just think, you’ll be able to say you were there to witness the day when robots began watching our anime for us.